D.R. Horton’s Southwest Florida Division invites the community to visit the Oaks at Whiskey Creek, which has models completed and available for viewing. 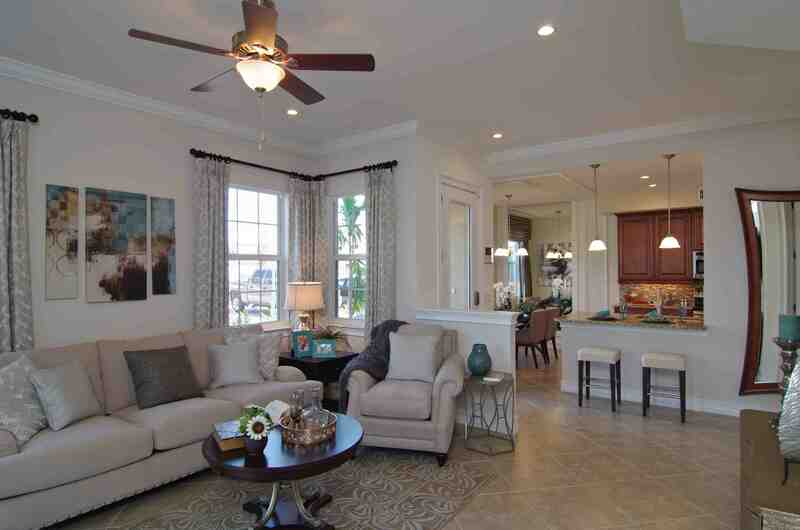 There are two great coach home plans available in this beautiful new community of 66 homes. The Capri plan offers two bedrooms, two baths, a den, and one-car garage at approximately 1,402 square feet of living space and starts at just $164,990. The Ravello plan is approximately 1,661 square feet and has three bedrooms, two baths, a den, and one-car garage starting at $182,990. There are only four coach homes in each of the buildings, so every home has windows that allow light in from three sides. Standard features include high ceilings, eight-foot windows, extra storage, screened lanai, and quality finishes throughout. New energy-efficiency measures add to these homes’ affordability and comfort. This charming community was planned with a great sensitivity to the importance of green spaces. Built around a central park area crowned by its namesake trees, the Oaks at Whiskey Creek is bordered by the Wyomi Creek waterway and a preserve. Located just one block north of College Parkway on Winkler Road, this private community is central to everything Fort Myers has to offer. The Oaks at Whiskey Creek evokes a romantic old Florida aesthetic, but lies within a good school district and is only minutes from some of the best beaches in the U.S., a unique historic downtown area, shopping, dining, golf, and world-class fishing. 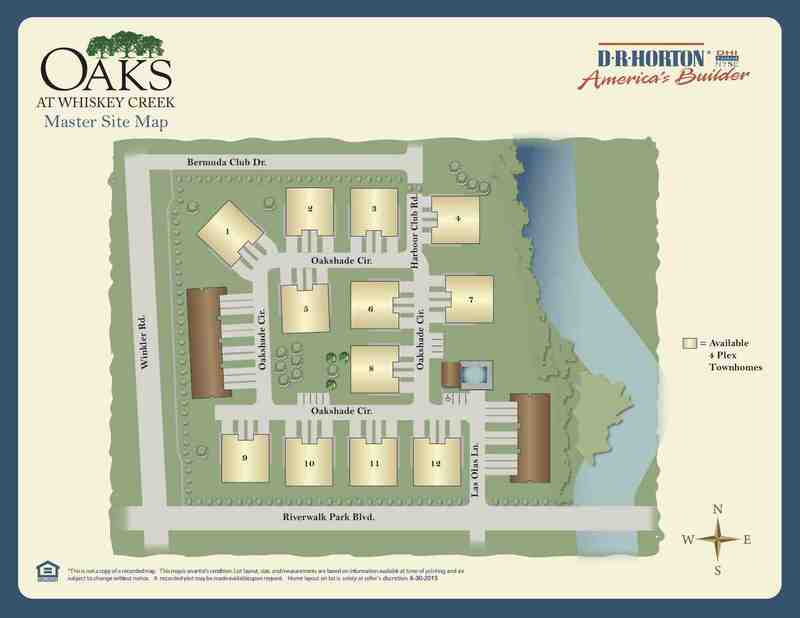 For more information about The Oaks at Whiskey Creek, visit www.drhorton.com/swfla. Founded in 1978 in Fort Worth, Texas, D.R. Horton has operations in 77 markets in 27 states in the East, Midwest, Southeast, South Central, Southwest, and West regions of the United States. D.R. Horton is America’s largest builder as reported by Builder magazine for eleven straight years. For more than 35 years, D.R. Horton has consistently delivered top-quality new homes to homebuyers across the nation. The livable floor plans, energy-efficient features, and robust new home warranty demonstrate our commitment to excellence in construction. D.R. Horton exhibits leadership in residential development through design innovation, superior craftsmanship, and responsiveness to the needs of its customers. The simple vision that began over 35 years ago represents years of value and security when you choose America’s Builder to make your dreams come true. For more information, visit our website at www.drhorton.com/swfla. Home and community information including pricing, included features, terms, availability, and amenities are subject to change and prior sale at any time without notice or obligation. Square footage dimensions are approximate. D.R. Horton is an Equal Housing Opportunity Builder.